Crystal McClaran was born in Cape Coral, Florida. McClaran has had a passion for animals since she was a young girl. She began riding and showing horses at the age 6 and owned her first horse at 8yrs old. She started professionally training horses at the young age of 15, often traveling the United States for national competitions. In 2002, she moved to Hilton Head South Carolina, hired as the Head Trainer of Castle Hills Farm, a World Renowned facility known for breeding and training American Saddlebred Horses. While at Castle Hills Farm, Crystal rescued the first of many bully breed dogs that would eventually lead her to a new career in the training and rescue of several hundred dogs. In 2002, McClaran founded RecycleBull's, a Bully Breed rescue program where she rescued, rehabilitated and trained over 200 Pitbull type dogs. Recyclebull’s would often take in & train other breeds such as Hounds, Spaniels & Retrievers with the goal of adoption to loving families. As the rescue program became widely known and respected she implemented training programs at other local shelters often helping with difficult breeds that otherwise may not have been as likely to be adopted. She launched her career as a dog trainer, with the goal of helping owners understand their dogs behavior but more importantly teaching their dogs social skills and pack order. Since 2012 McClaran has become actively involved with the fastest growing Canine Aquatic Sport, Dock Diving. She is a certified Judge, World Wide Member and competes at a national level with her dogs some are rescues. Crystal and Bo won the 2013, 2014, 2015 and 2016 DockDogs World Championship Iron Dog Competition along with 6 additional World Championships in separate divisions. Bo has set a total of 32 world records to date most recently a Guinness Book Record. In all of this success, they have become Team Bo Nose. Crystal has started a second successful canine rescue program and Shelter named Bo Nose Rescue in Cape Coral, Florida. 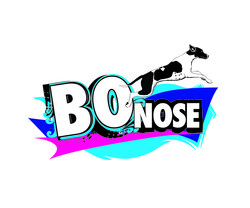 Bo Nose Rescue houses and trains adoptive dogs until homes can be found. The rescue focuses on Breeds such as Belgian Malinois, Shepherds and various other working breeds along with family dogs.